POINTE BLANCHE–A drone was spotted approaching the Pointe Blanche prison’s restricted area on Saturday by a Voluntary Corps VKS soldier in the guard tower. The officer reported the activity to his shift leader. Based on the location of the drone and in consideration of the surrounding environment, directives were given for the “use of force” with the shotgun stationed in the tower. One shot was fired which disabled the drone, resulting in it falling within the prison vicinity. “The drone was retrieved and found to be carrying a small load of electronic devices and possible drug substances. The police are busy with the investigation and the soldier who took the decisive action was commended internally by Major Antonio Rogers, Commander of the VKS,” according to the VKS on Sunday. 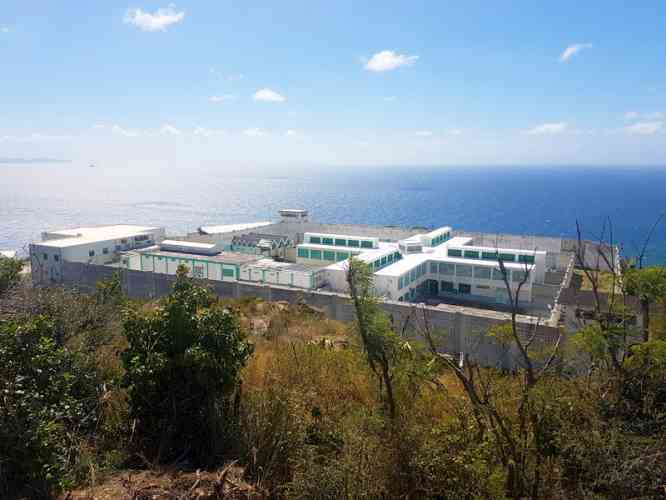 Voluntary Corps St. Maarten has been contracted to man the guard towers of the prison’s perimeter since 2018. The members have been trained in additional prison-related duties as part of the VKS responsibilities. The recent attempt – via a drone – to pass contraband also suggests that other previous methods used to smuggle contraband are becoming more difficult or nearly impossible.